ROAD TOWN, Tortola, VI - While many have been critical about the refurbishing of the Huntums Ghut Basketball Court facilitated by Virgin Islands Party's (VIP) Fifth District Candidate, Mr Kye M. Rymer, many are convinced that had the area not been lit due to the recent works, more persons might have been killed during the horrific shooting on the evening of Sunday, February 13, 2019, in the area. 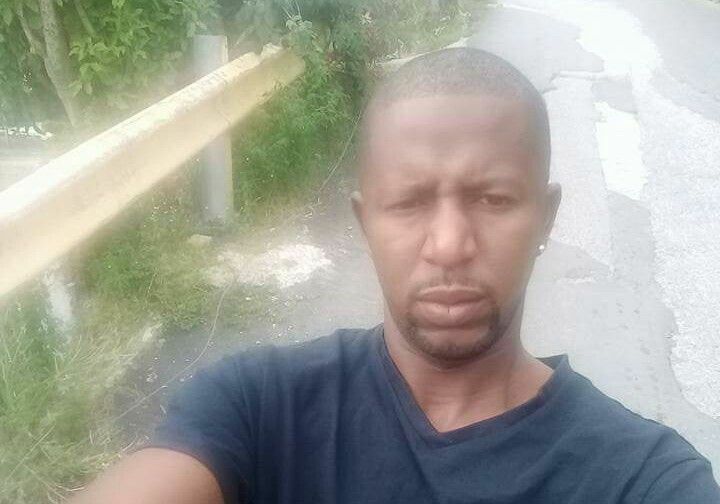 The territory recorded its first murder of the year when Erran Charles, 34 years, was killed and a 17-year-old wounded after a gunman fired shots in the direction where a group of young men were playing dominos while others stood nearby. Charles was one of the onlookers. Our investigations revealed that the 34-year-old and the teen were not believed to be the target of the shooting, however, they both were in the wrong place at the wrong time. In an interview on JTV’s The Big Story (TBS) election edition with Ms Cathy O. Richards, Mr Rymer recounted the fateful night when he said, had their not been lights beaming from the refurbished basketball court, even worst could have happened. “The shooting actually took place by the bathroom... The guys were there playing dominos and the young man was there just looking on based on what I was told. The assailant came up from the Ghut and started firing and unfortunately he [Charles] lost his life,” Mr Rymer to the TBS. According to Mr Rymer, he knew Charles having played basketball with him a few weeks ago, but even more, the dead man was one of the persons who assisted in the repainting of the basketball court some weeks ago. “Based on what I was told, if the court wasn’t lit last night (Sunday night) I am sure more persons may have been injured because the assailant… if he actually wanted to target someone, if there weren’t any lights maybe more persons would have been injured,” he said. Combating some of the social ills facing youths and others in the territory, Mr Rymer said it is time to take a comprehensive look at things especially at how weapons are entering the territory. “We need to look at protecting our borders and understanding whether we tackle technology in terms of doing more x-rays, in terms of the cargos that come into the territory or more border security. We have to look at what is taking place,” he said. “I understand that the shooting stemmed from an incident that took place the night before… based on what the reports say, it was because of some stolen chain at a night club,” he revealed. Agree that the BVI has an extensive but porous border that needs more investment to protect it. However, a senseless and traffic occured and we must mourn with the family in their time of brief, let the RVIPF investigate and let’s keep politics out of it. Check yourself first from trying to pick on people. Exactly, he needs to stop with the negative and either help with a resolution or remain quiet. In the world, still could prevent that senseless act. All he is talking about is the refurbished court and engaging the youths. Boss man you need to address the issue, gang violence. Get those guys off the block, give them work to keep idle hands saint. You said they wanted the basket ball court. That is not engaging bro, you have to come on the streets and see what is going on. Drugs and money is ruling these young men... sorry to say we have to do better. I would suggest starting looking into legalizing weed, and teaching these young men how to farm, plant and cultivate for export. This is what they want to learn. Create business that they want to do, not what we want them to do. That’s how you get them to think, then they will have to adapt to other business minded areas just to progress if they want to be successful. ..but will they graft? Ive never had to water my bananas, plantain, avocado, lime, pineapple, mango, soursop...theres enough rainfall for these crops, so why aren't we growing our own? We dont have to legalise weed. Fishing is another industry crying to be exploited. You are missing my point, will they do those type of work? You are saying what you want them to do, not what they want to do! You can’t control people children like your own. Simple! lucky you. most successful commercial/hobby farms require regular water and care. lack of water, the farmers @ paraquita bay constantly said they had no water for their plants. Let them grow a plant they love, they will care for those plants like a real child and produce quality produce.